@FarmerJayhawk Don’t you think the time he’s spent on the bench last season watching this team disintegrate before his eyes should be punishment enough? I can’t speak for others, but I know I felt punished. Between these one-and-dones and the situational officiating, I’ve really become cynical. I even picked Virginia to win the NC because I figured the NCAA would want to take the sting out of last year’s historic loss and get an exciting story line. Virginia was not the best team in their conference, and I don’t think you can even say that they “caught lightening in a bottle” in March and rode a wave to the championship. No, that was more Texas Tech, which won the first 4 games by a huge 15 pt average margin of victory. And then beat Mich State by 10. Virginia’s average margin of Victory for the first 4 games was 9.5. Then they beat Auburn by 1. Yet somehow, Virginia won it all. Next game they had a 4% chance of winning. Auburn led 61-57 with 17 seconds left, and by 2 points with 1 second left. Of course, the foul on the 3-pt attempt bailed out Virginia. In the championship vs Texas Tech, win probability was 11.7% when Virginia was down 3 with 22 seconds left. Chances of pulling off all three comebacks (9%, 4% and 11.7%) in succession is 0.04% – roughly 1 in 2500. But that’s just to win the championship. Consider how likely it is to be the first 1-seed to lose to a 16-seed and then win the championship the next year – not to mention, to do it in such an unlikely way. I’m kind of an Ocham’s razor kind of guy. Is the most likely explanation of this the “natural randomness of life”, or is it that things were unnaturally nudged? Or maybe God just loves Virginia Basketball. RE: Does Anybody Really Care......? RE: Back now. Had to do maintenance on board. A TT final four appearance would be good for the B12. A NC win would be good for Roy as a KU connection. It’s a bit of our legacy. Michigan St is due. 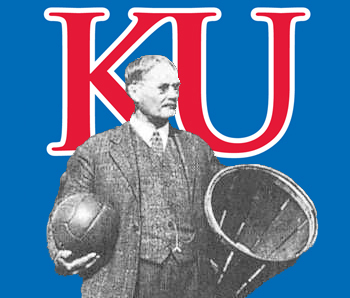 They have had a drought similar to KU from 88-08. And Izzo has been there the whole time. I like that loyalty and stability. Good for the Champions Classic too. Gonzaga would be a victory for the non-power conferences. UK and Duke are flush and spoiled. Of the remaining four, it’s hard to get excited… (unless you’re from one of those schools). VaTech: I could see them upsetting Duke, but would far prefer Mich State to prevail to the FF. LSU: I just am burned out on the SEC… so they are tainted by association. Purdue? Houston? I guess the boilermakers would be an interesting, kind of surprising FF team. Maybe a Cinderella of sorts.